4.0 out of 5 based on 109 bloggers and 27 commenters. 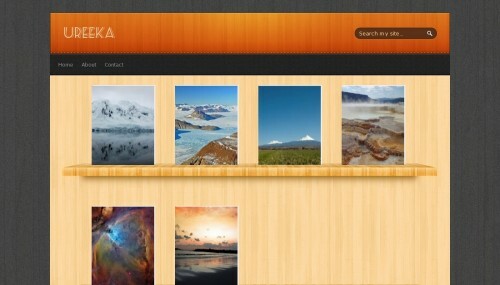 Ureeka is a free blogger template adapted from WordPress with 1 column, right sidebar, gallery-styled, footer columns, slider and pagination. Excellent template for blogs about books. I have used this template for my blog about book, but the picture gallery does not appear. This templates is nice but some of my post titles don’t show up at the homepage. I wonder why? How do I put images of books on the bookshelf? Is there a way to edit those covers easily and add images? Allow me to download and use this template for my blog. Many Thanks BTemplate for provides many good templates. Dear Btemplates. i have used this template on my new blog. but i have a problem. there is “WIDGET” on the right bottom. could you help me how to remove it? i’ve looked in page element but i didn’t find it. Esta muy interesante la plantilla. Mi consulta es si se puede editar y como, la parte superior izquierda donde dice UREEKA. Tengo la misma duda que vos Claudia ! 2. For some reason I am only able to do a limited amount of posts (12 to be exact). 3. Is it possible to put my name on the banner/header where it says Eureeka? I have worked with this temple for hours and finally discovered how to make the pictures populate. For the pictures in this BLOGGER template to populate you have to upload the pictures to blogger or blogspot. And add a title. Share this information. É possível colocar o meu nome no banner / onde diz Eureeka? I loved the template, super fun and creative., but i have a problem with it ….i have now 8 posts, but only appear in the front page 4 and i don’t have anything to move to the next, a bottom or something that i can click… How i can resolve this? Please help me cause i want so much to use this lovely template on my blog! Now the menu disappeared!! OMG, can someone help me to resolve this problem? How can i put pagination on Ureeka template? Dear users, locate the link (‘http://3.bp.blogspot.com/-EFrihDv4Ayg/Tzw3VS0lClI/AAAAAAAAAME/IdIV7GtuKOQ/s000/logo.png’) and replace it with another image of your choice. I can remove the upper left Ureeka title says? Or modify it to display the name of my blog? Puedo quitar el título superior izquierdo que dice Ureeka? O modificarlo para que muestre el nombre de mi blog? thanks so much for this themplate its amazing!!!! Anyone want to hire me to work on your WordPress website with this theme at $3/hour rate?